“There are currently a number of limitations to using Power BI on its own but our new software is designed to bridge some of those gaps by providing automated documentation of reports and giving data controllers the capabilities to view, in real time, how and what data is being used across all parts of the business. Across the globe, there are more than five million people using Microsoft’s Power BI tool to analyse data and create dashboards to help them better understand their business. Power BI Sentinel will be available to all these international users from sole traders and SMEs to community enterprises and large corporate organisations. Power BI Sentinel is a Software as a Service application hosted with Microsoft Azure. It is an online service which can be managed and accessed through a web browser and is also mobile compatible. Users have the option of signing up to three different levels of service: a free community licence, a professional licence or an enterprise licence. Alex and the Power BI Sentinel team have been explaining the benefits of the new software to data experts from across Europe at the four-day SQLBits conference in Manchester. For more information on Power BI Sentinel visit the website https://www.powerbisentinel.com/. 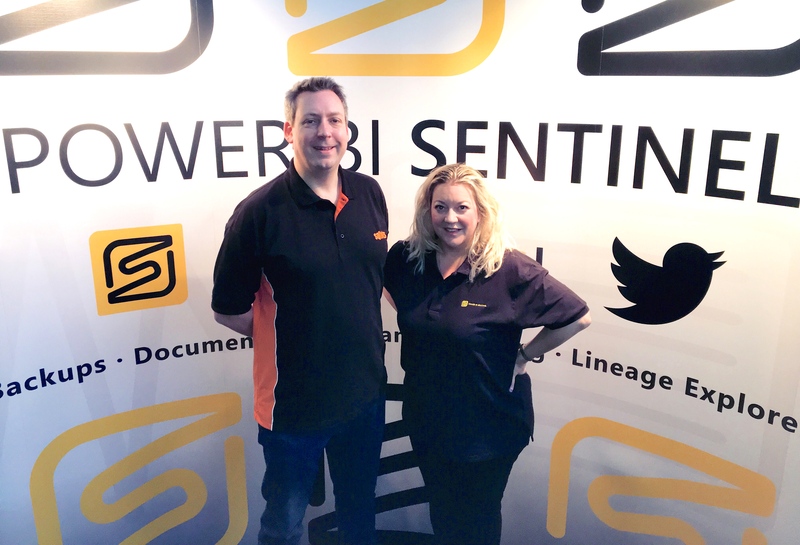 Photo caption: Alex and Hollie Whittles launch new software service Power BI Sentinel at the SQLBits conference in Manchester. For more information please contact Amy Bould or Lorna McCann at Be Bold Media on 01952 898121 or amy@beboldpr.com or lorna@beboldpr.com. Alex Whittles is managing director and principle consultant at Microsoft Data Platform specialists, Purple Frog Systems, based in Telford, Shropshire. Alex has been awarded the prestigious Most Valued Professional status by Microsoft (held by only 21 specialists in the UK), has an MSc in Business Intelligence, is a chartered engineer and is a member of Mensa. He is a regular speaker at events around the world and consults for some of the world's largest organisations. Power BI Sentinel is the latest software innovation to be launched by Alex and his team. The service aims to complement and enhance the experience of using Microsoft Power BI. As users and organizations expand their Power BI adoption, it can become challenging to keep track of what Power BI is being used for, and what data it contains. Sentinel aims to address that, providing users and companies with more transparency of what is happening in their Power BI account. Power BI Sentinel is a Software as a Service (SaaS) that sits alongside a user’s PowerBI.com account and enhances the use of Power BI. Automated Backups – configure your reports and watch as Sentinel backs up the PBIX files to your own Azure blob storage account. This enables you to roll back to previously backed up version or recover any deleted reports. Change Tracking– Sentinel scans the metadata structure of your reports and allows you to compare versions over time, enabling you to track down why and when something either broke or changed. Helping with Disaster Recovery and unexpected changes to reports. Data Lineage– Sometimes you are dealing with many different datasets and reports and Sentinel gives you the ability to monitor what data sources are being used and by which of the datasets and reports. Which supports with any data governance and GDPR. Automated Documentation– Providing in-browser documentation of your datasets including table structure, relationships, measures and calculated columns. Also, a PDF download option for offline use. This press release was distributed by ResponseSource Press Release Wire on behalf of Be Bold Public Relations in the following categories: Business & Finance, Computing & Telecoms, for more information visit https://pressreleasewire.responsesource.com/about.